How to invest in stocks like Adobe, Amazon, Apple, Facebook, Google, Netflix, Nvidia, or any other fast-growing company. 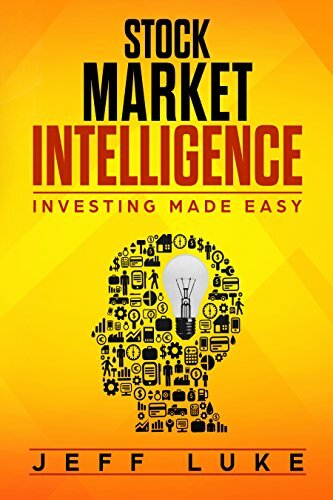 This book teaches you a stock selection system that shows you if a stock makes sense. Old methods of stock-picking worked for years when businesses changed slowly. In the days of Coca Cola, Sears, McDonald’s and Walmart things moved slowly and traditional methods of valuing companies worked well. Those were the days before the Internet, Amazon, Google, and iPhones. Today’s companies innovate rapidly, and if you want to invest in these companies you can’t only use old metrics like P/E, P/B, or PEG ratios. We now live in the age of Alexa, Nvidia GPUs, Instagram, iPhones and Tesla. Today’s companies invent fast, and you need fast, sharp, precise tools to give you a decision-making edge. Stock Market Intelligence teaches you the “high-quality” and “high velocity” decision-making strategies that Jeff Bezos uses with his leadership team at Amazon, and it shows you how to apply them to your own stock decisions. Learn the smart way to pick great stocks. You got this.